I enjoy building complex files that take lots of individual steps to accomplish. I find them to be a real challenge and I LOVE a challenge! 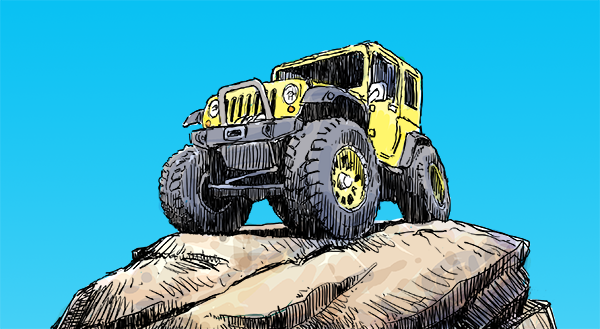 Today’s complex files are the wheels and tires for this jeep. Save for the raised lettering I built the entire file inside EnRoute. The tires will be extreme lug mud tires and so I first created the chevrons that go around the outside of the tire. I only had to build one and EnRoute automatically does the rest. I used the outside edge of the tire to use as the guide. 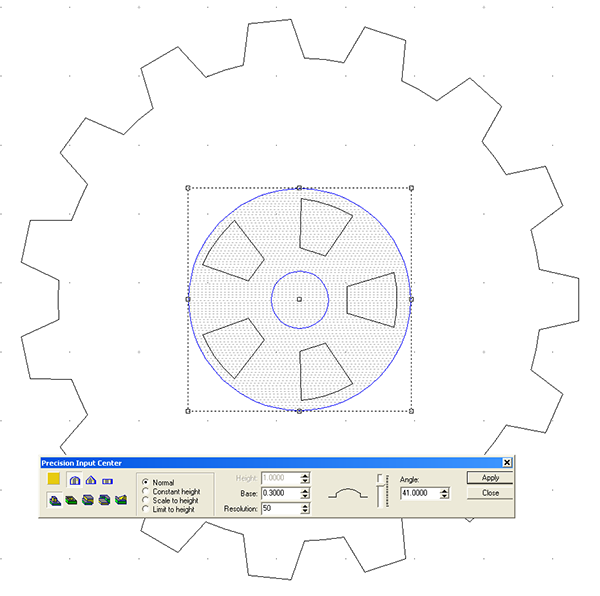 It is as simple as opening the menu and then typing in the values – in this case 15 lugs around the tire. Than I added in the rest of the vectors I needed to build the wheels and tires. Most of the elements were built as separate relief which I would combine at the last minute. The first relief was a zero height backdrop. Everything will eventually be adjusted height wise and then merged highest with this relief. The lug around the edge were built as flat reliefs which were 0.9″ tall. 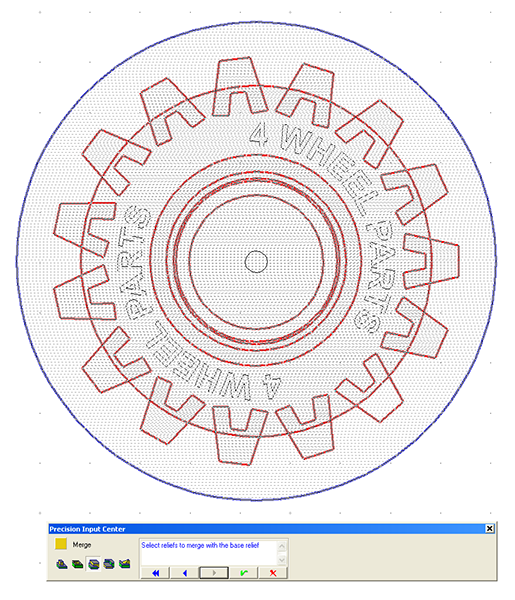 I used the dome tool to create the sidewalls of the tire. 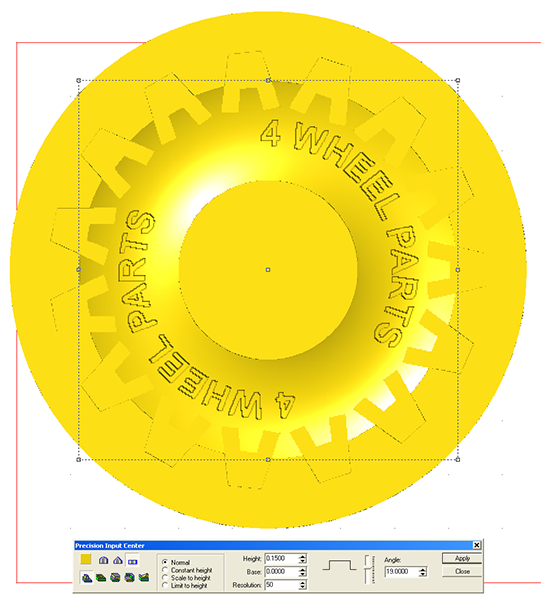 I then modified the donut by adding the raised lettering. 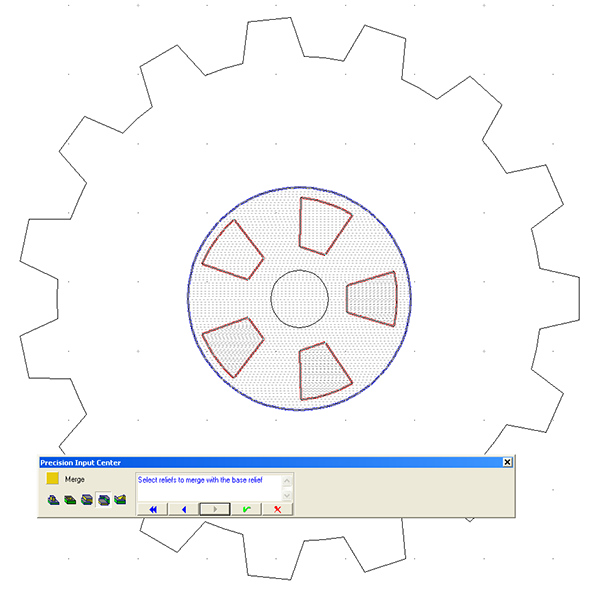 I missed screen capturing the building of the rim… a simple flat relief. Once I had all of the reliefs built it was time to MERGE highest with the zero height relief. 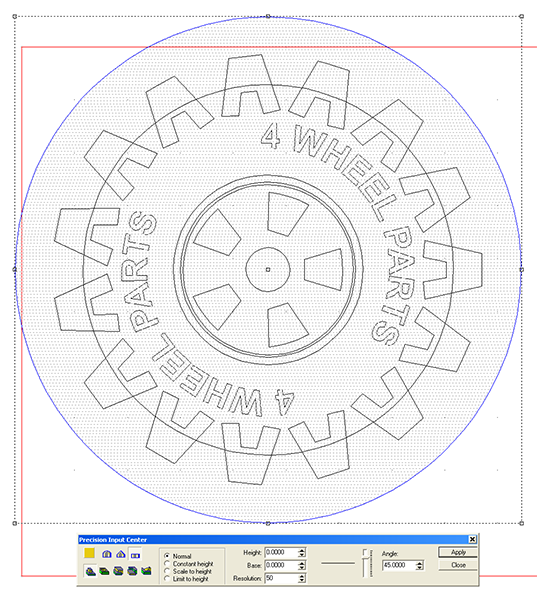 The wheel and tire are to be routed in three layers, front back and center. 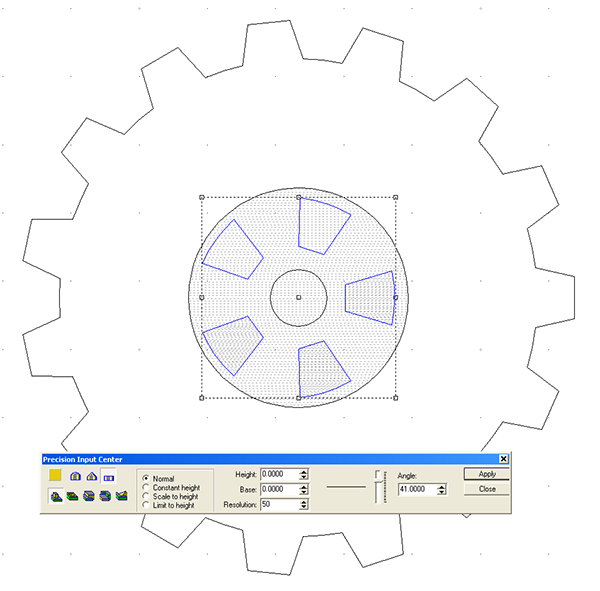 The center is a simple offset cut save for the center which is machined to look like a rim. I used the dome tool to build a dish. 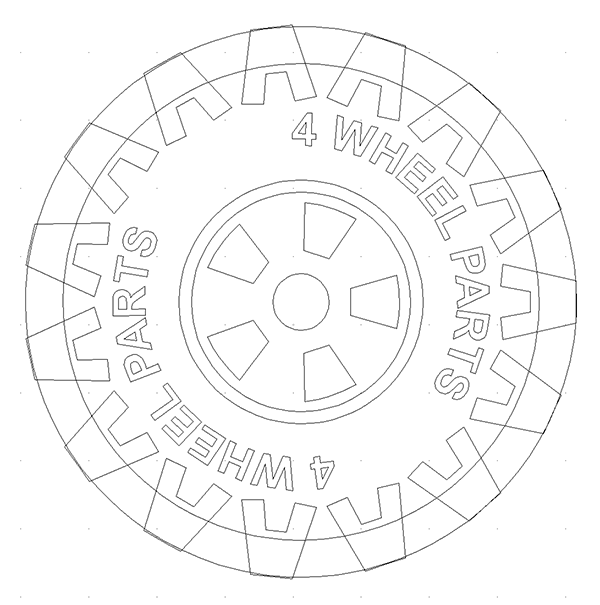 Then the slots in the wheel were created by making them zero height reliefs. 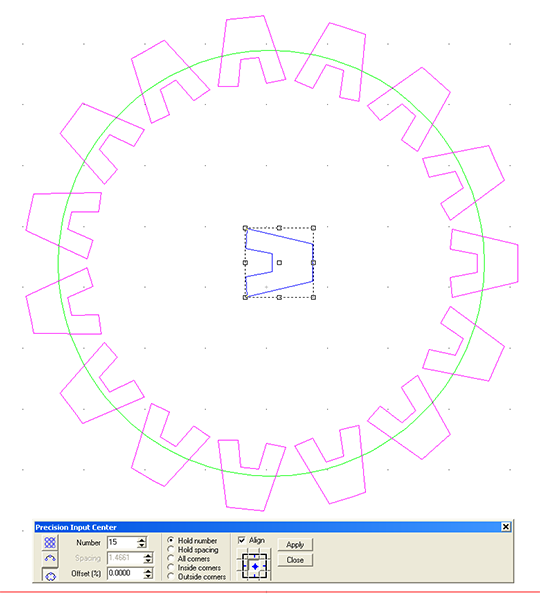 I them merged LOWEST these zero height slots to the dished rim. The three pieces were then set up for routing from 30 lb Precision Board. 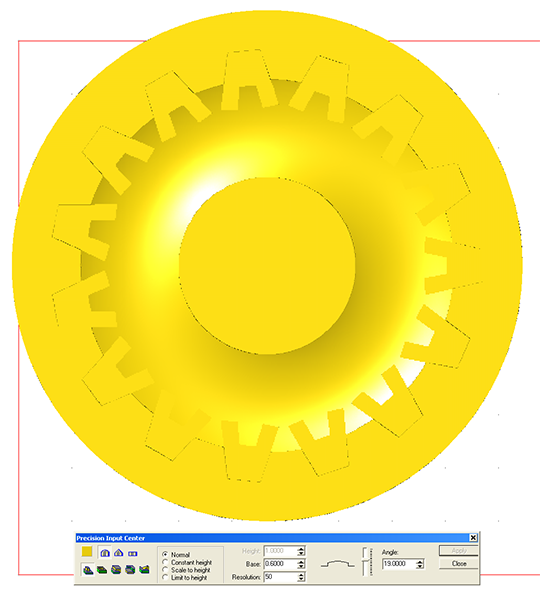 With that the file was ready to toolpath and and send off to the MultiCam.